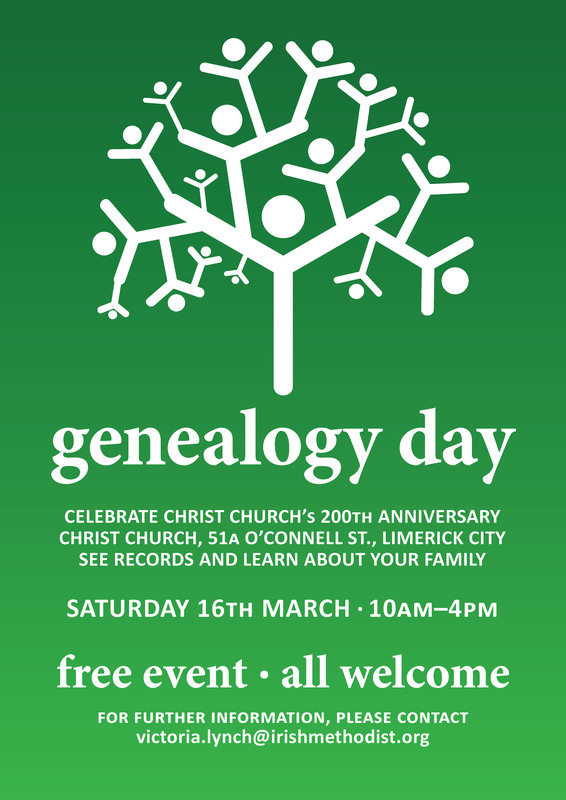 As part of Christ Church Limerick’s 200 year anniversary celebrations we are planning to hold a Genealogy & Family History day in our O’Connell St. Church on the 16th March. In 2013 the Methodist Church, on its present site in the city, will be 200 years old and in the same year the Presbyterians will have been in Limerick for over 350 years. Christ Church Limerick became a United Presbyterian and Methodist Church over 40 years ago and continues to thrive. In this anniversary year we are celebrating all of this history and these significant historical milestones. As a United Presbyterian and Methodist Church in Limerick we are in the unique position to be able to bring together family history records from our combined churches. We have also very close links with other local churches, and in particular the Church of Ireland where we share certain responsibilities in relation to governance of the local schools with a Protestant ethos. We are planning to bring together all the available Church Registers and School Roll Books for our community on the Saturday of the St. Patrick’s Day weekend for anyone, from complete novice up to experienced genealogist, to review. We also hope to have some Catholic Registers available on the day. Due to the relatively small Protestant Community in Limerick, it is understandable that over the centuries there have been significant inter-denomination marriages and community interactions. Consequently, for family history enthusiasts and novices alike, the opportunity to review all these documents together is significant. For the novice genealogist or someone who just wants to find out more about their own family we will have volunteers on hand to assist them to find their family records and help them to commence building their own family tree. 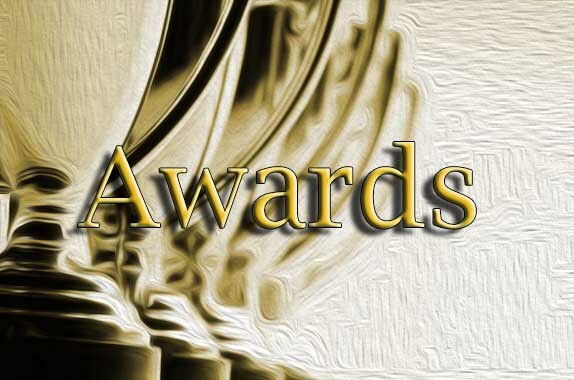 To make the search as rewarding as possible we would advise anyone, who is intending to come on the day, to have done a little family research beforehand. e.g. Find out all the names of your grandparents, any significant dates and where they were from. Obscure Christian Names are particularly useful in helping to confirm connections. We also intend to have internet access available in the Church on the day to allow people to commence initial searches on some of the very useful internet sites that are available on-line. 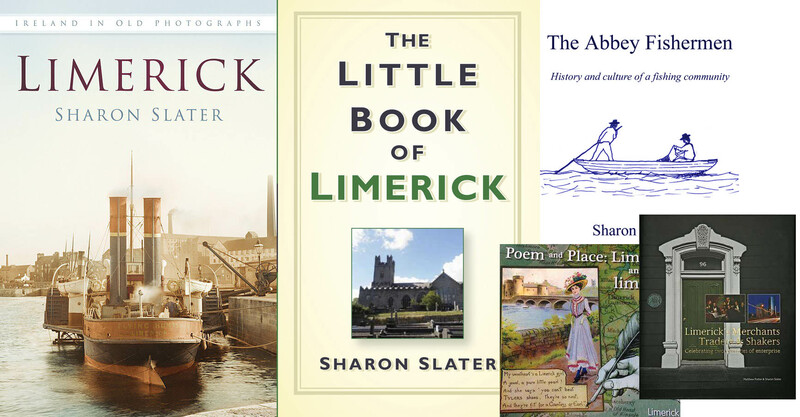 For the more experienced genealogist with particular connections in the Limerick area the opportunity to review these records in the one location should be very exciting. We expect to have available on the day:- Limerick Methodist Registers from 1842, Limerick Presbyterian Registers from 1829, Christ Church Limerick Minute Books, Adare/ Ballingrane registers, Limerick Church of Ireland registers, Limerick Baptist Church registers, St. Michael’s National School Roll books, Villiers School roll books, &co., Rate Valuation Books and Registers of Electorates currently not digitally online from Limerick City Archives. On the day, Michael Wheeler, a genealogical enthusiast, will give a talk on his own extended Wheeler family research entitled “Silver Bells of Memory”. His talk will focus on the historical and intriguing aspects that he has encountered whilst researching his own family tree. Click this link to download a poster for the event.